Feldco’s vinyl siding is designed to help your home withstand the extreme temperatures and weather conditions in Central Wisconsin. Its pure, virgin vinyl composition and durability-enhanced design will help protect your home from the elements. You don’t have to worry about cracking, warping or splitting. It is designed to be installed and then enjoyed. No more painting and staining year after year, you will truly be able to enjoy the maintenance-free aspect of your home’s new exterior! 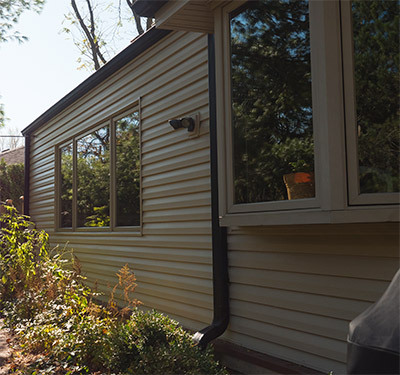 Not only will you receive an exceptional product with Feldo’s vinyl siding, but paired with our professional team of installers, you will have a home that is equally beautiful and energy efficient. The siding installers on your job are among the best in the home improvement industry and will treat your home with the respect it deserves. You will be left with the look of a brand new home and be delighted at how easy the entire process was! What Makes Us the Best Siding Contractor in Madison? 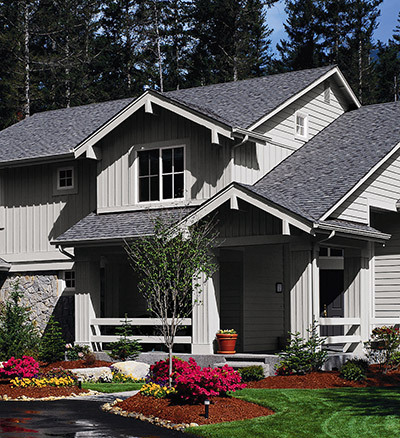 Feldco is the number one choice for vinyl siding and you will enjoy your new, beautiful, maintenance-free product. Feldco has been replacing siding on homes for 40 years and has transformed over 350,000 homes in the process. Your new siding will provide you with a more comfortable home year round, and more money in your pocket with lower heating and cooling bills. At Feldco, one call takes care of it all. We will schedule your free in-home estimate, measure your product, secure any permits needed and install your siding. You will experience for yourself how great new vinyl siding installed by professional siding contractors can look on your home. It doesn’t matter if you prefer neutral, understated colors and styles or you want to make a bolder statement with color and accents, you have many options of siding available to you. When people first think of siding, the style that comes to mind is Double Four, or standard siding. The lines are clean, seams are limited and Double Four is a simple and traditional way to reside your home’s exterior. Many colors are available so you can still make a statement using the most common type of siding. If you are looking to make a little more of a statement with your siding, you may want to consider Dutch Lap siding. You will still enjoy all the benefits of standard siding but with a slightly different look. Dutch Lap siding has a decorative groove which adds a level of dimension. 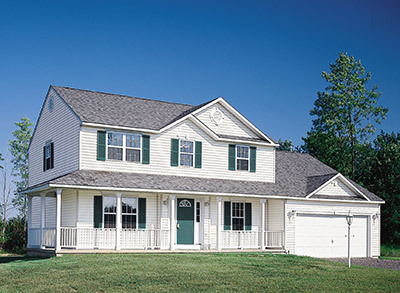 The shape of this siding offers additional strength and durability and is found on many homes in the Madison area. Board and Batten siding has alternating vertical pieces of siding – a narrower batten and the wider board. These differences add both dimension to your home and a unique look if you desire to refresh your home’s exterior. Whether you choose board and batten siding for your entire home, or just specific areas, you will no doubt create a beautiful and unique look for your Madison home. The sleek lines of vertical siding can create a more modern look for your home. With all the energy efficient benefits of standard siding, you can still enjoy added comfort for your home while transforming your home in a contemporary way. Consider vertical siding for all walls of your home’s exterior, or just certain areas to create the custom look you have always wanted. 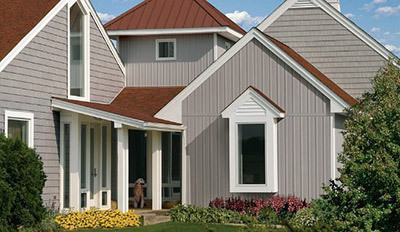 Vinyl shake siding is a perfect choice for many styles of homes, especially those in the traditional or Cape Cod style. The shake siding is created to look like traditional cedar shakes or shingles, and can transform a home in a unique and charming way. 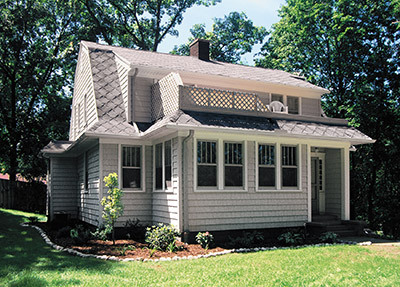 Use shakes in just eaves and gables of your Madison home or for every façade of the exterior. However it is used, you will no doubt improve your curb appeal and enjoy the way your home looks for years to come! 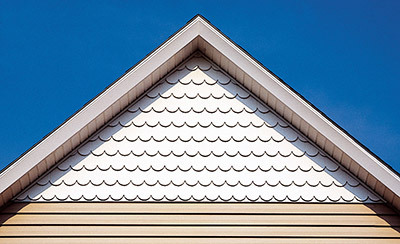 Often found on Victorian homes, scalloped siding offers softer lines with its curved design. The U-shaped bottom of the siding creates a beautiful accent for your home. While most often used for smaller sections of a home, it can be used in larger areas to create a dramatic look. With many color options available, you can use scalloped siding to match or contract other sided areas of your home and really make a statement of beauty. 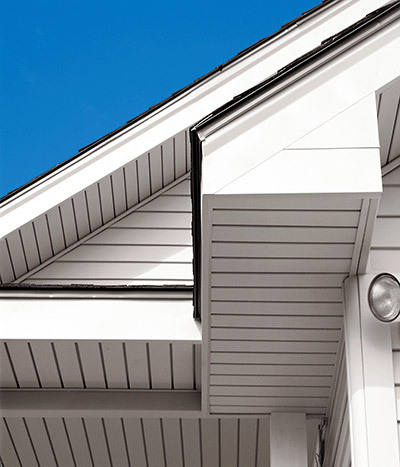 Finish off your beautiful new siding with our soffit and fascia. Soffit is usually found under eaves and extended rooflines and provides exceptional ventilation. Fascia acts as trim on the areas on the homes façade that are sided and really completes the look. Both soffit and fascia work together with your existing or new siding to provide a beautiful finish for your Madison home. 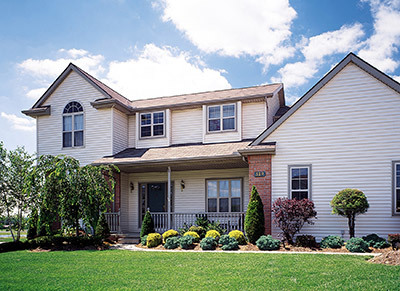 Your home will be treated with the utmost respect by the siding installers that come to your home. They will remove your old siding and prepare your home in the proper way to ensure your new siding is installed correctly and leaves your home functioning as energy efficiently as possible. The siding installers that come to your home are among the best in the industry, dedicated to making sure you are delighted with the product and leaving you with a home that looks like new! Whether you are looking to refresh the look of your home’s exterior or completely transform it, vinyl replacement siding from Feldco is the best choice in Madison. With four decades of experience of improving homes with our energy efficient siding, there is no better choice when it comes to your home’s exterior.